I’ve saved the easiest broth for last! 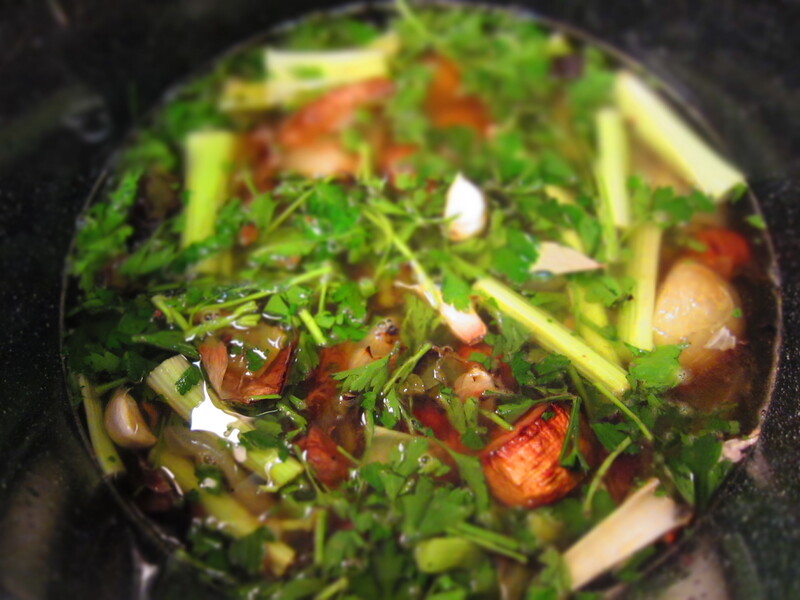 Really, after fooling w/huge cow bones and chicken carcasses for beef and chicken stocks, a little veggie broth will be a breeze! 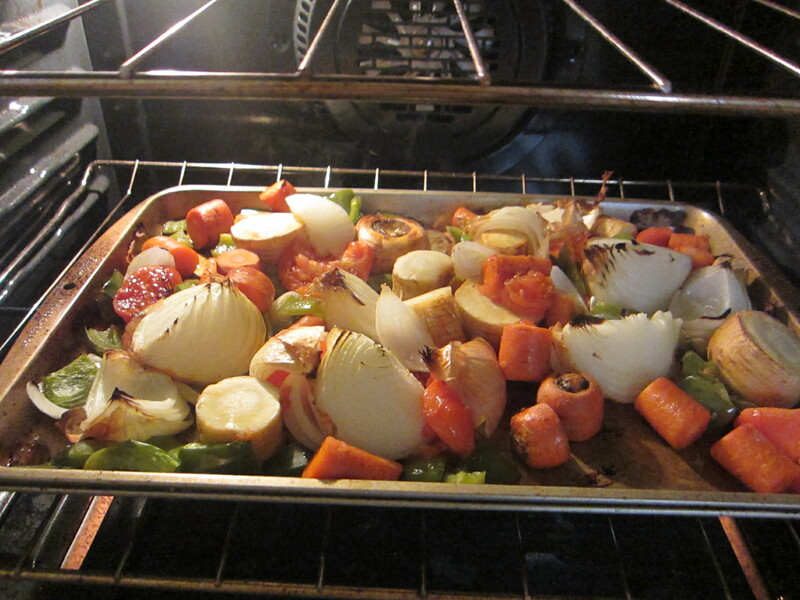 And, since I wanted to make soup for dinner tonight, it seemed like the perfect time to try out veggie broth-making. 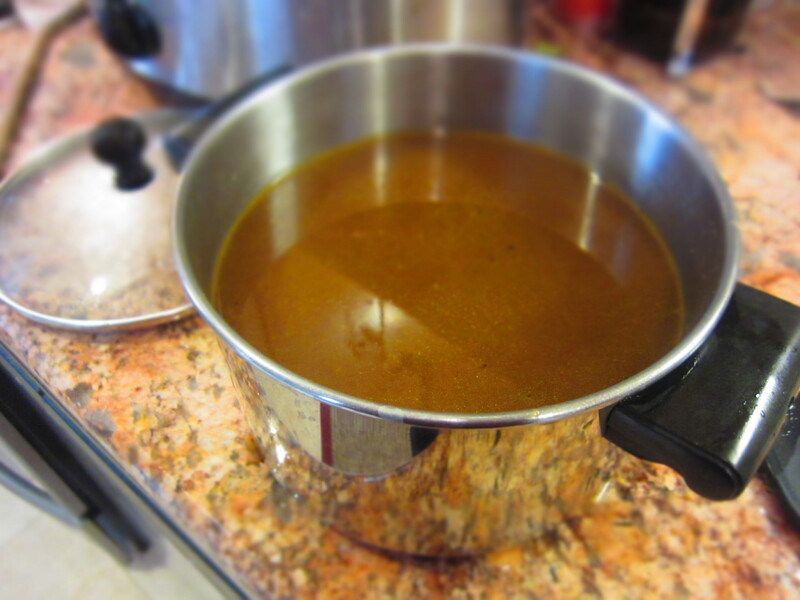 I found this recipe on AllRecipes.com, and it’s listed as the “World’s Greatest Vegetable Broth,” and even has 4.5 stars. Sounds perfect! 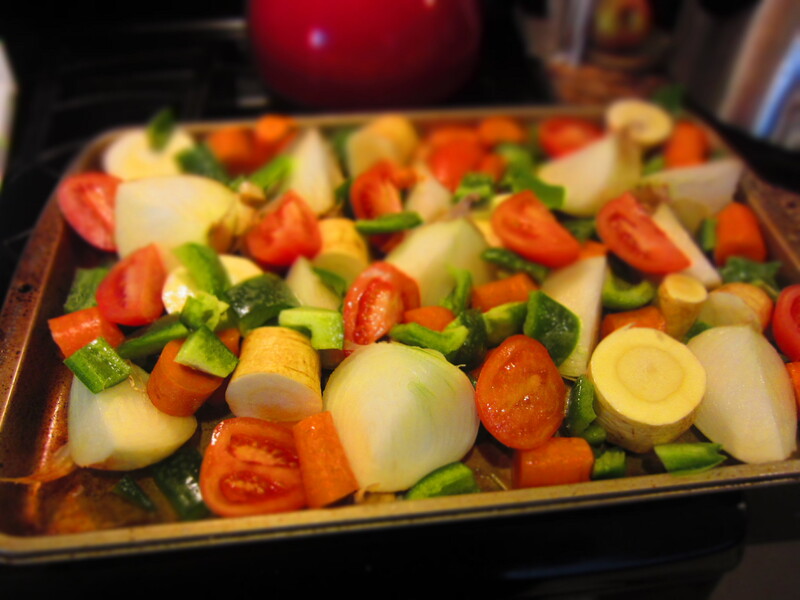 After that, it was boiled for about…maybe two hours? The idea was to boil it until the liquid had reduced by half- I think it took about two hours. 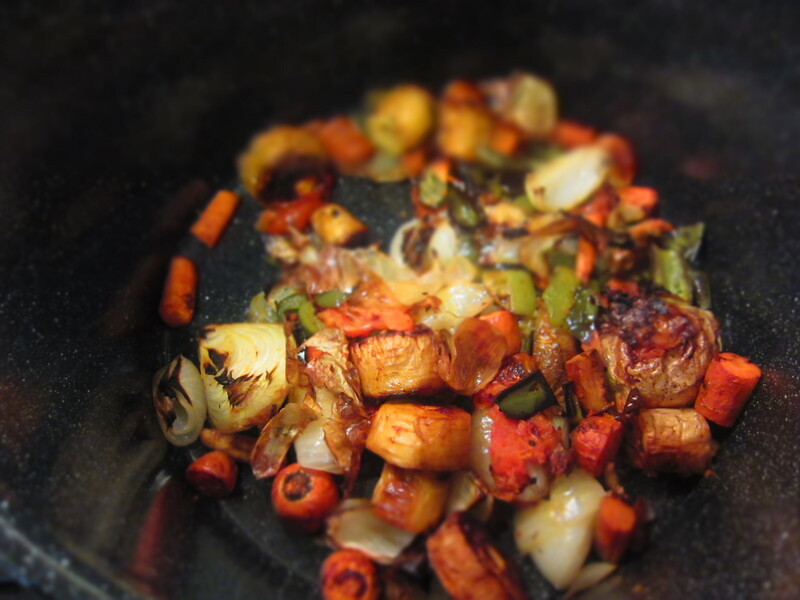 When it was finished, I poured the mix through a colander, and discarded the veggies- I know I should have saved them, but…I didn’t.